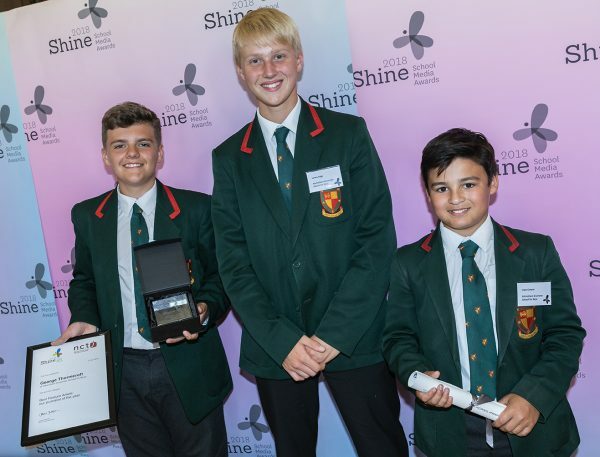 At our Shine awards day this summer, Best Feature Article and our Journalist of the Year was awarded to George Thornicroft from Altrincham Grammar School. Part of his prize was a masterclass with the legendary Daily Telegraph journalist and long-time friend of the Shine School Media Awards, Dr Simon Heffer. Here George (pictured at left, above with his team-mates) tells his story. 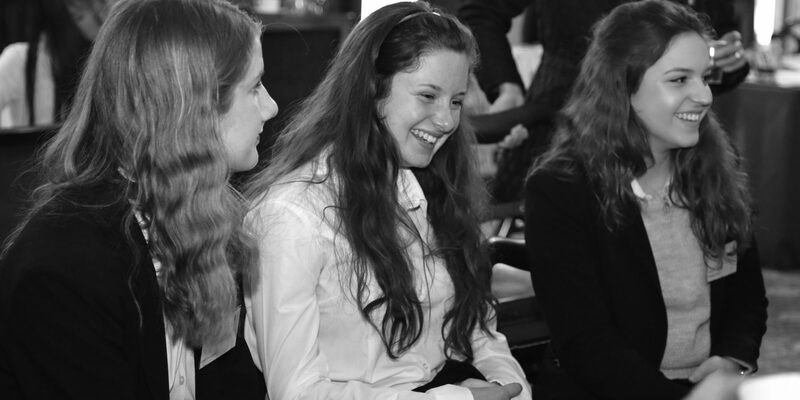 On Monday 22nd October, I went down to London with my family and some friends to enjoy the half term, and to meet Dr. Simon Heffer, as a reward for winning Journalist of the Year and Best Feature. I was going to have a one to one session with him for an hour. I left Wilmslow Train Station at 9:30am to travel to Euston, London with my family and some friends and arrived at around 12pm. We walked over to our hotel; an incredible looking building with a view of the London Eye and the Thames. We then went for a quick lunch, and then wandered off to the Natural Science Museum. It was spectacular! The displays were interesting and informative, and I left with a massive smile on my face. My sister, on the other hand, was less than pleased… We went out for a magnificent dinner at The Rainforest Café and walked to the hotel for a well-earned rest. The next day, I was ecstatic. I was anxious but ready at the same time, and I couldn’t have felt happier with myself for being able to get to the stage I was at. My family and our friends got to Stationers’ Hall early, so we were given a tour (for me, it was just a simple refresher, of course) and everyone was blown away with the sheer magnitude of the building’s history and how incredible it looked. Then, the big moment came, and not a moment too soon! I was introduced to Dr. Heffer and we got down to business immediately. We started talking about current affairs, interests, my articles, his articles; it was fantastic and I learnt stuff that will stay with me for the rest of my writing career. Dr. Heffer critiqued my work, and gave me feedback that will, again, be remembered for a very long time. Overall, the weekend on a whole was brilliant and an experience I won’t forget!